Access ladder for underground pools Astralpool brand, made with accurate design that offers a guarantee of anti-slip and anti-cut safety. Constructed with Ø 43 mm tubular in AISI-316 stainless steel. Material: Aisi-316 stainless steel and plastic.. Depth of water level (Cm): 96. €276.00 Vat incl. €276.00 Vat excl. By buying this product you can collect up to 27 loyalty points. Your cart will total 27 points that can be converted into a voucher of 5.4. 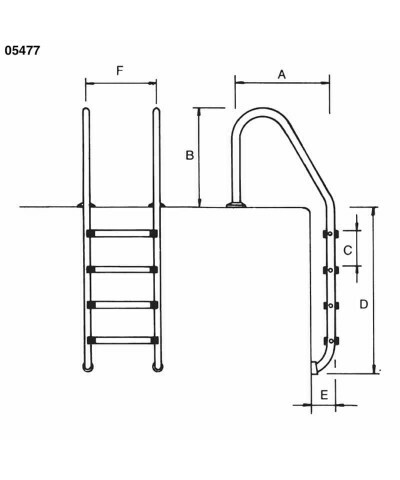 Ladder for underground standard pools. The steps are available from 3 to 5 steps. Supplied with anchors with equipotential connection. Ø 43mm tubular handrail in hand polished stainless steel. step model luxe in stainless steel and plastic. 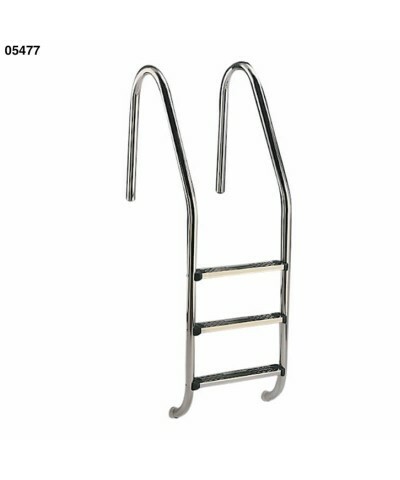 The access ladders for swimming pools, handrails and grab bars supplied are made of stainless steel AISI 304/AISI-316 according to ASTM A240 standard, or equivalence 1.4301/1.4401 according to EN 10088. Aisi-316 stainless steel and plastic. Price €316.01 €316.01 Vat incl. €316.01 Vat excl. 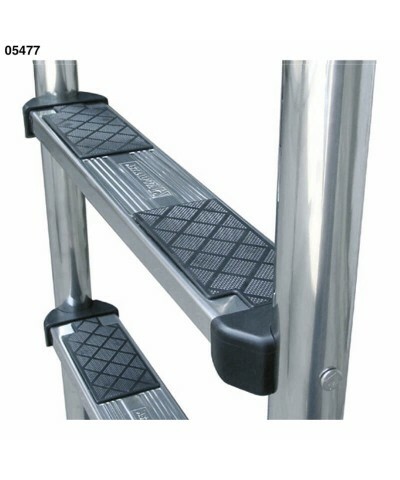 Product gender: Stairs / Ladders for pools.. Depth of water level (Cm): 122. Price €484.35 €484.35 Vat incl. €484.35 Vat excl. Access ladder for swimming pools with OVERFLOW EDGE of Astralpool brand, a new model with variable radius curvature on the part of the handle that guarantees a modern look. Depth of water level (Cm): 121. Price €514.23 €514.23 Vat incl. €514.23 Vat excl. Depth of water level (Cm): 146. Price €465.39 €465.39 Vat incl. €465.39 Vat excl. Price €353.35 €353.35 Vat incl. €353.35 Vat excl. Depth of water level (Cm): 148. Price €417.13 €417.13 Vat incl. €417.13 Vat excl. Depth of water level (Cm): 71.